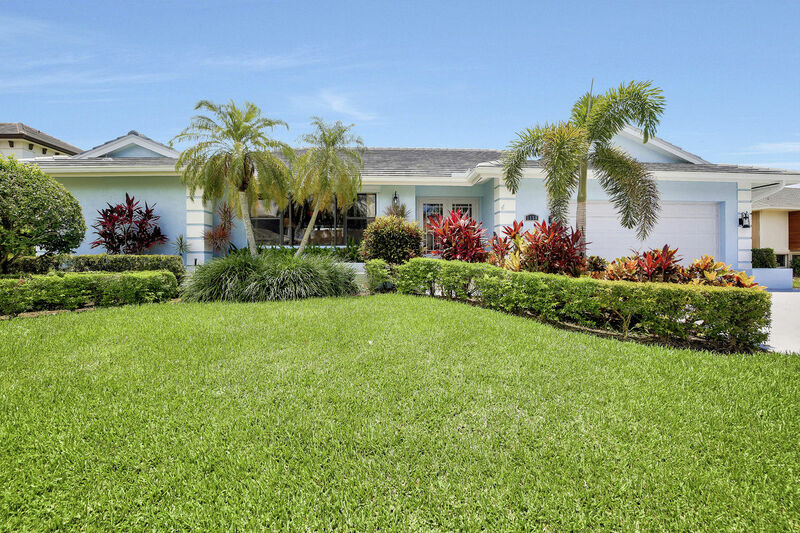 Perfect for your family vacation, this 3 bedroom 2.5 bathroom single family home is sure to be your own slice of beach paradise! 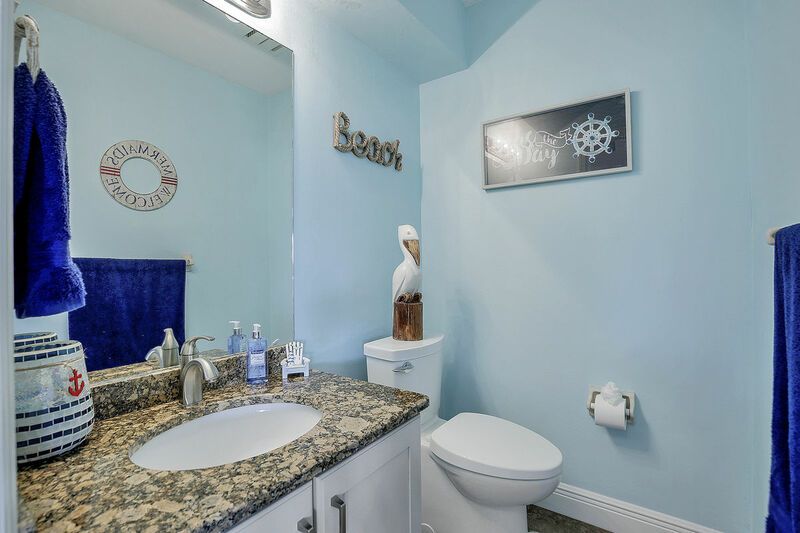 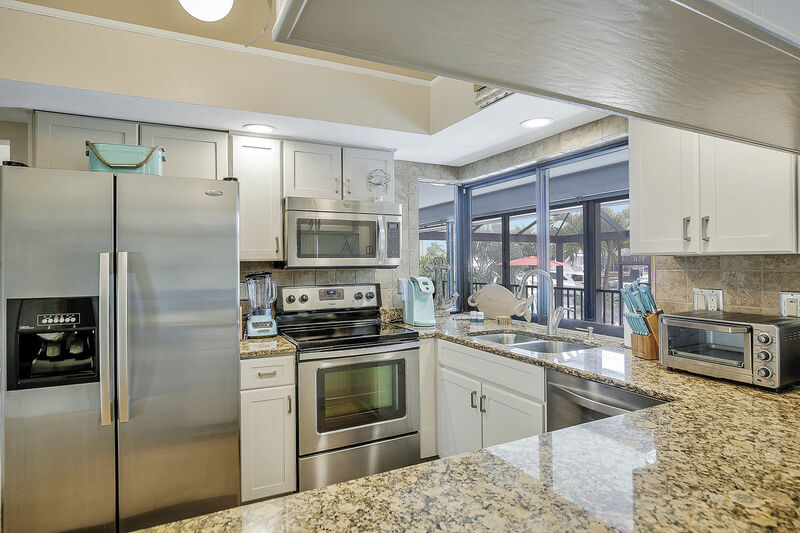 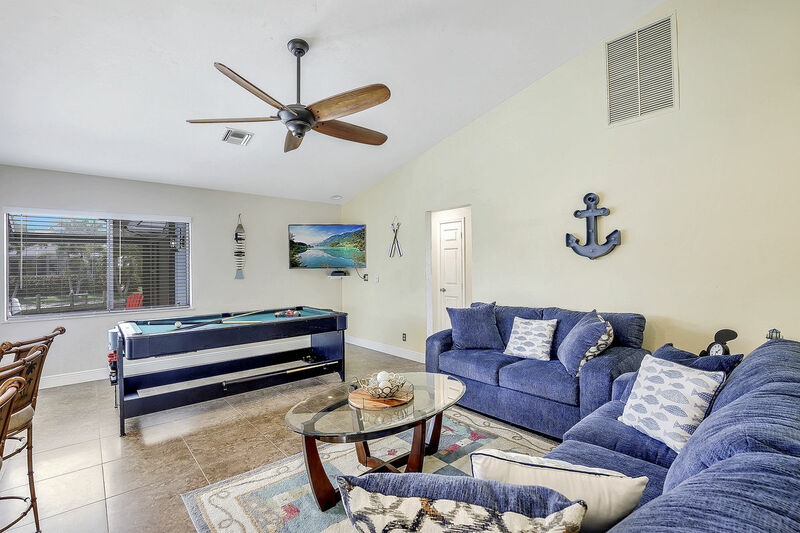 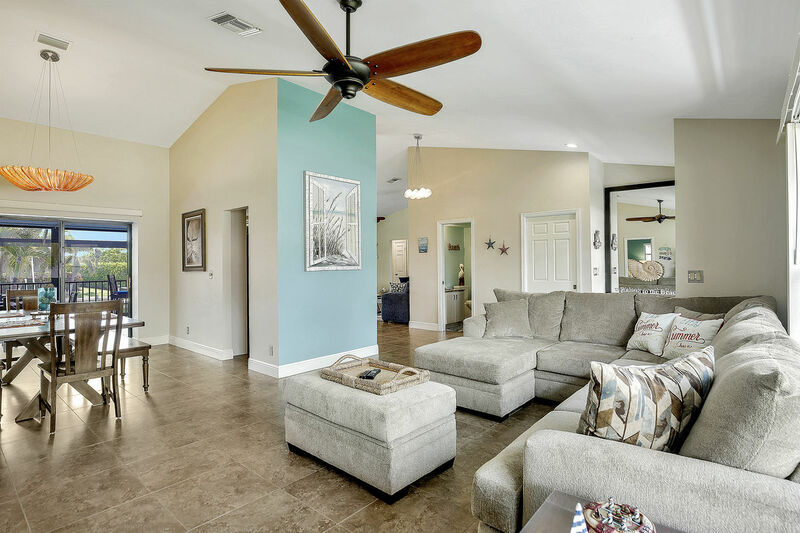 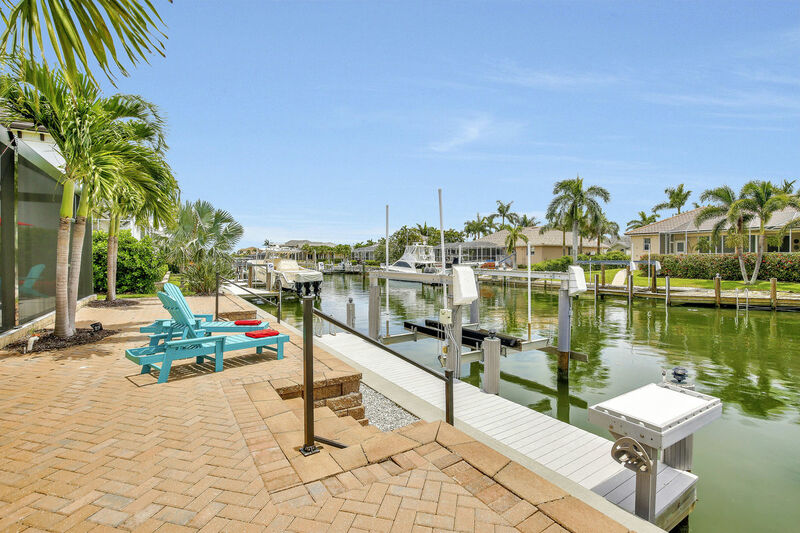 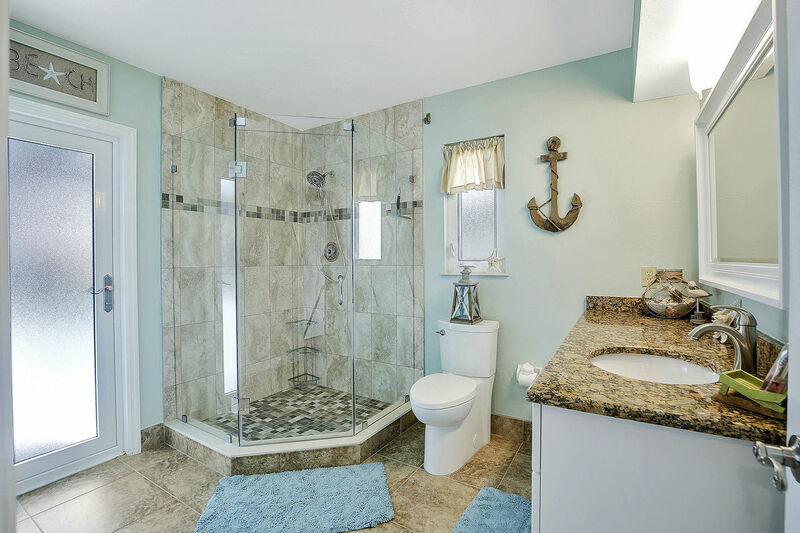 Enjoy peace and quiet on a calm & quiet canal while still being a short distance from the beach, shopping, restaurants, mini golf and much more. 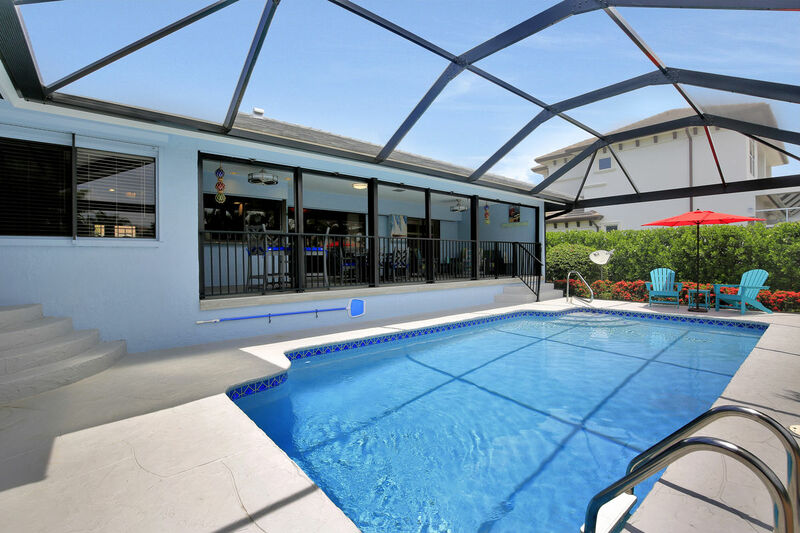 The large pool with an over looking balcony equipped with brand new outdoor furniture is a highlight for this home, you may never want to leave! 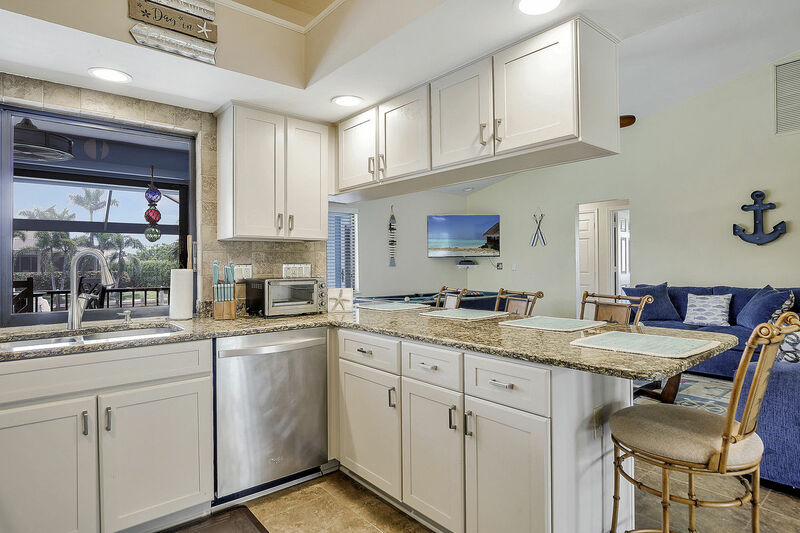 Inside you'll find a fully equipped kitchen with everything needed to create delicious meals and a formal dining table with seating for 6. 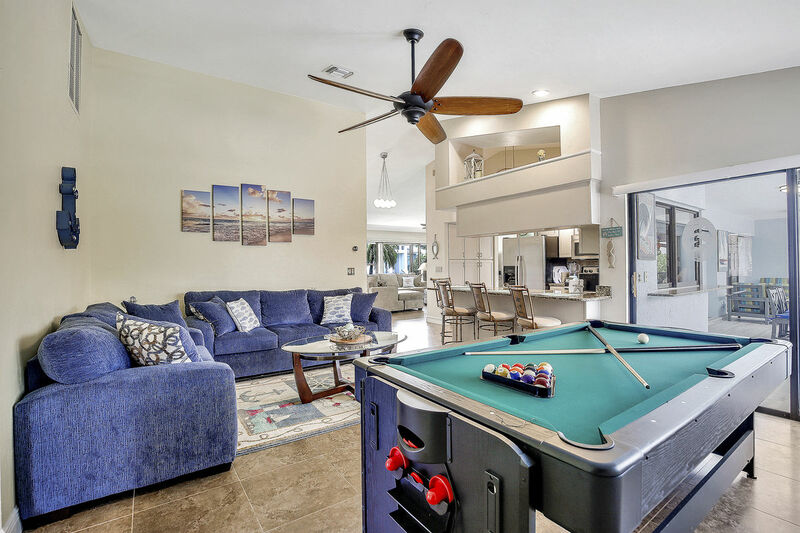 There are two living areas, both with flat screen TVs and comfortable couches to stretch out and unwind. 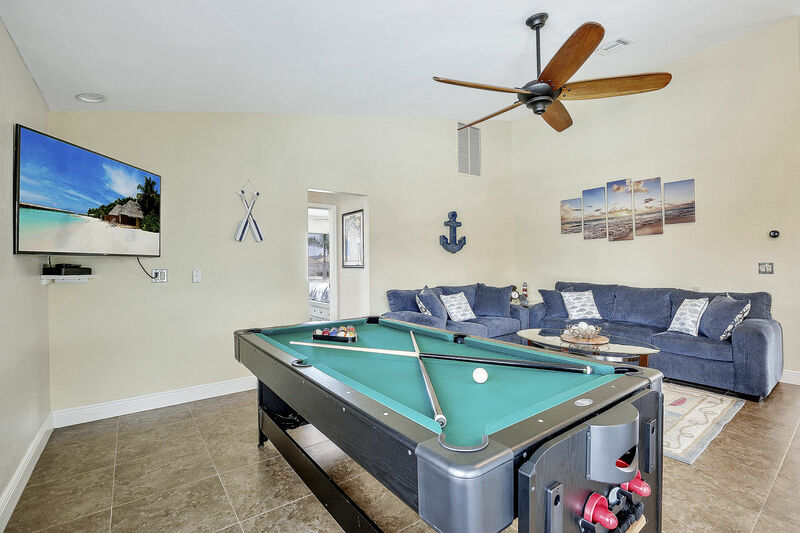 Challenge your family and friends to a game, across from the kitchen is a pool table that also turns into an air hockey table! 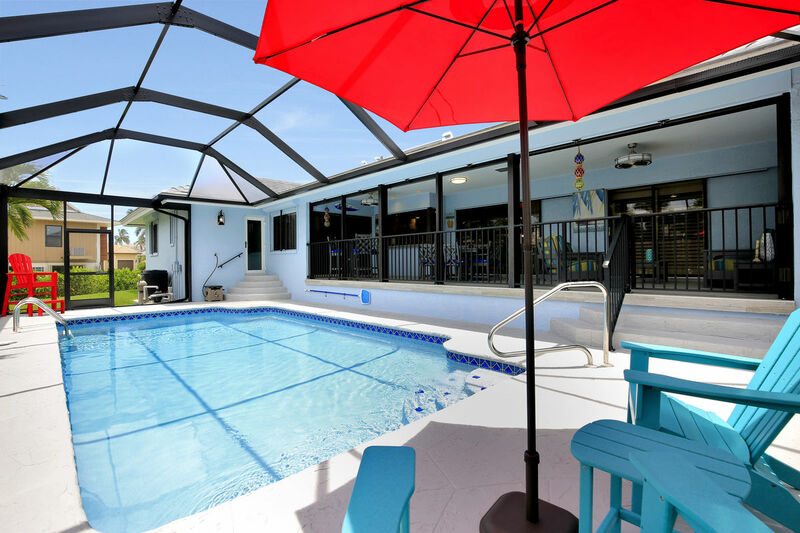 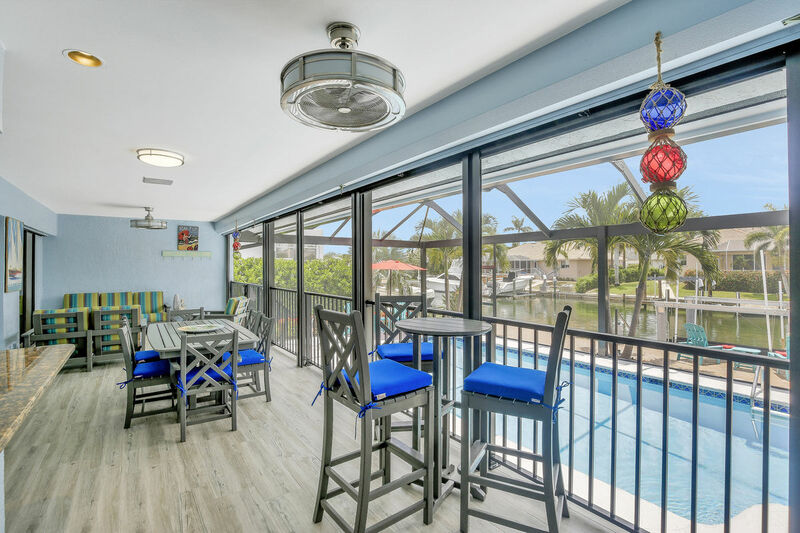 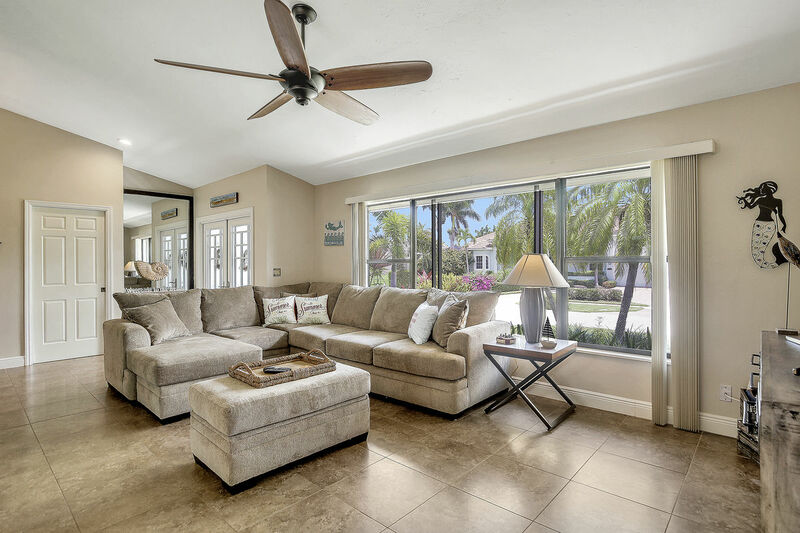 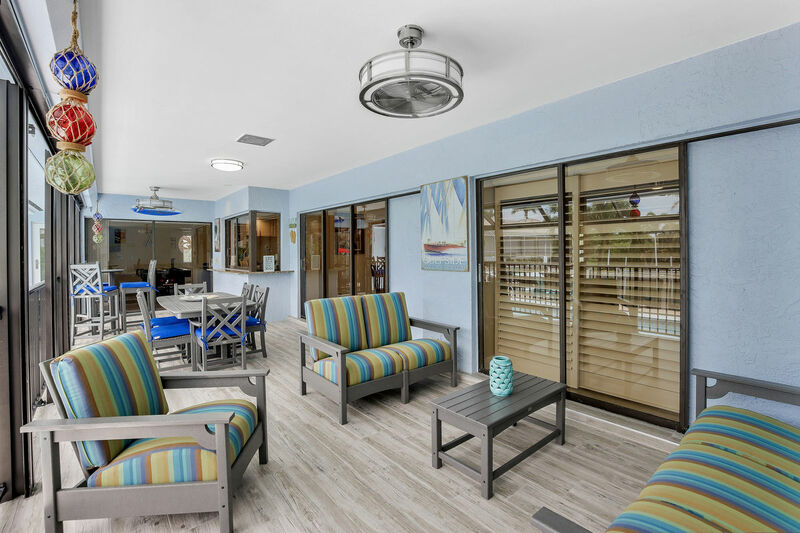 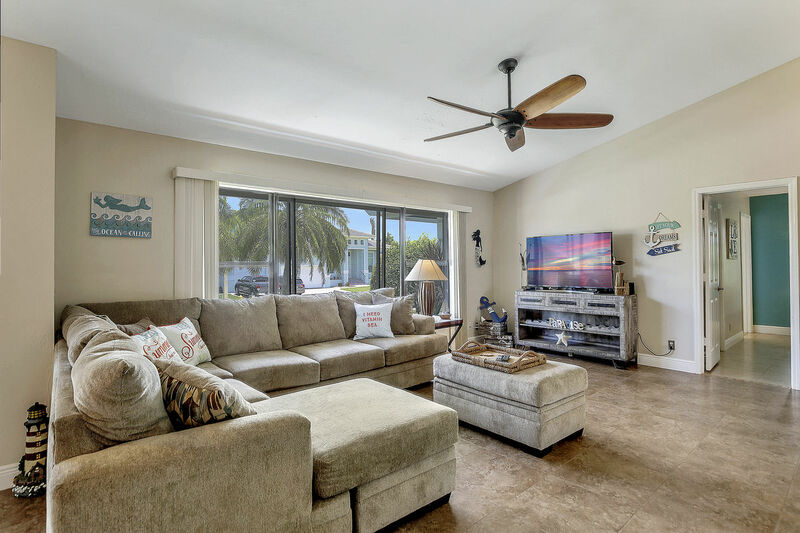 Spend time outside by the pool viewing Florida's wildlife from the comfort of the screened in lanai or venture out to the loungers by the boat dock for some uninterrupted sun. 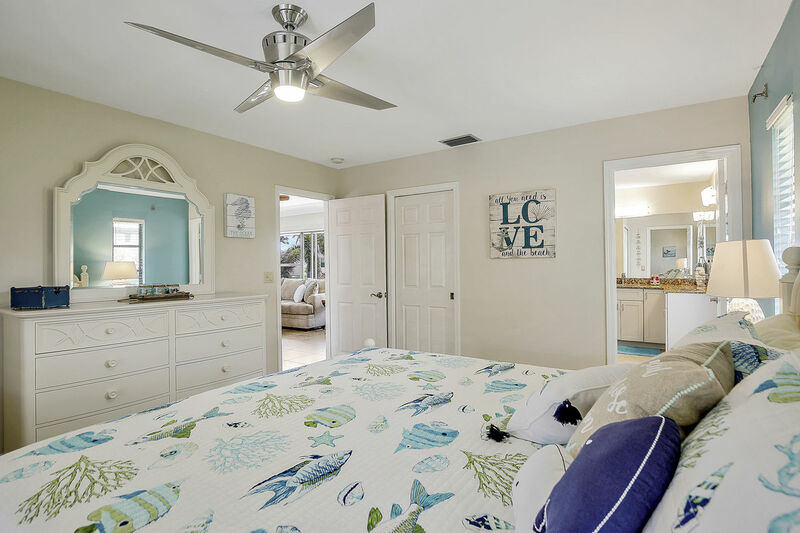 The master suite provides a king sized bed and access to the balcony overlooking the pool and the canal as well as a private master bathroom with his & her sinks and a walk in shower. 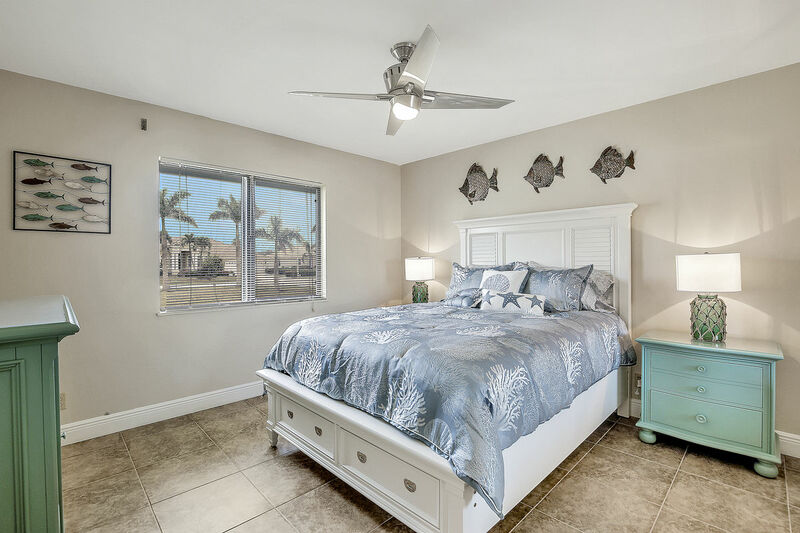 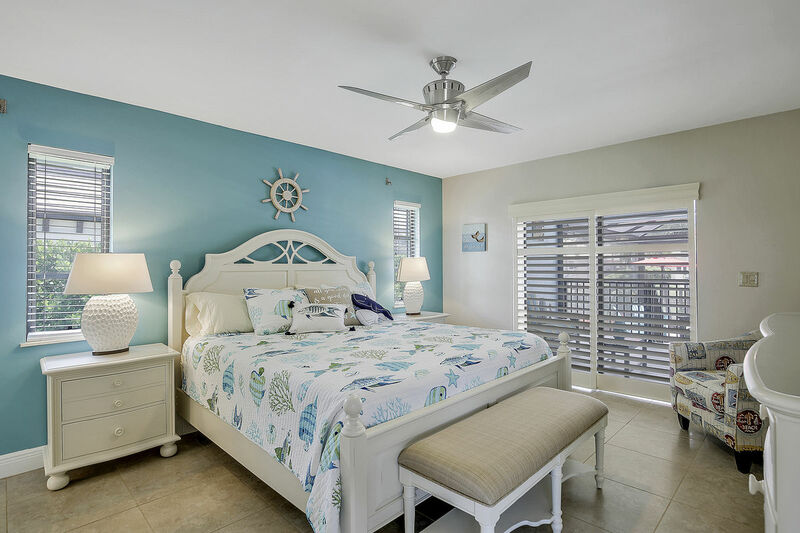 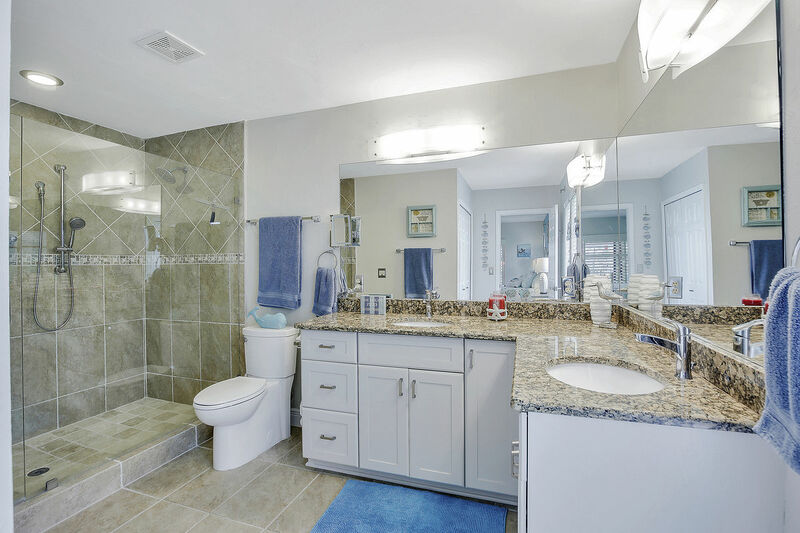 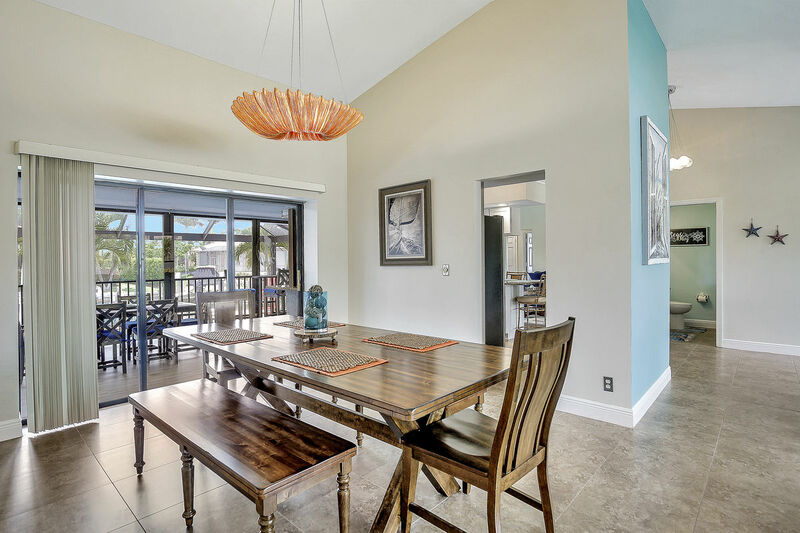 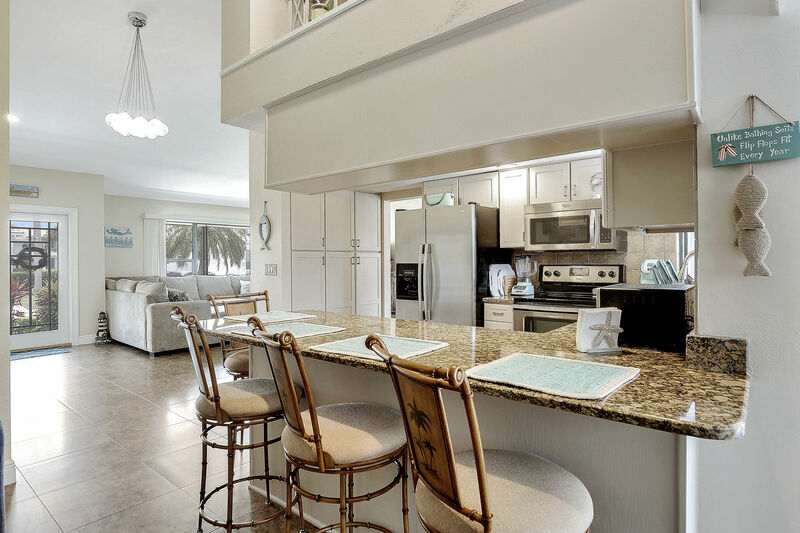 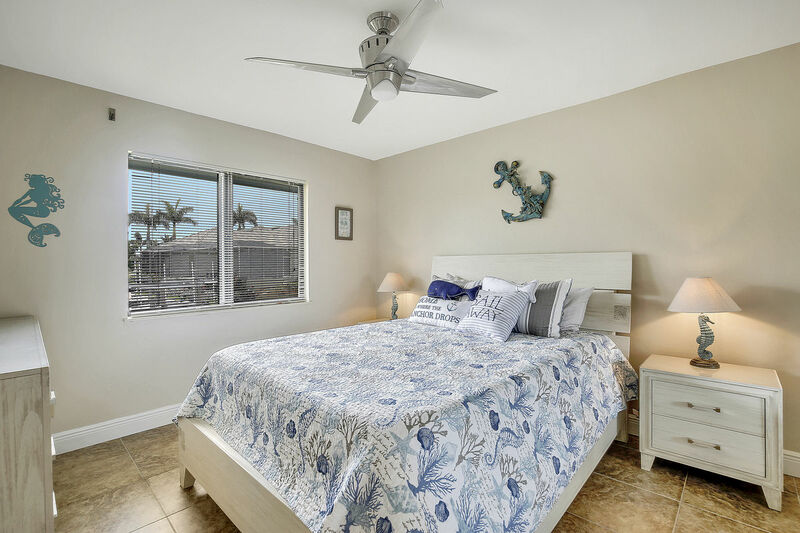 There are two additional guest bedrooms that each offer a queen sized bed, a full closet and share a private full bathroom with access to the lanai and pool area and a beautiful walk in shower.